Digital Marketing new career options for youths.. Trained and qualified digital marketing experts are in high demand everywhere as more and more companies are shifting their focus to digital marketing strategies..
Digital marketing is emerging as the one of the principle features of the modern corporate era. The dynamic, upcoming industry of digital marketing is fast-gaining momentum as a promising career choice, especially among the youth. Helping companies stay ahead of the curve by utilizing the commercial perspective of modern digital media is taking the world by storm. This massive marketing platform is poised to become the most sought-after profession among the youth. Digital marketing has borrowed a lot from the functions of traditional marketing. The industry has grown over $1 billion worldwide in the last six years and is expected to continue its upward trend. No marketing budget, plan or strategy or development is now considered complete unless it includes a digital component. Young digital marketers develop fine-tuned strategies for product launch, promotion, brand building, increasing sales or public relations. They also tactically leverage different social media tools for everything from creating a buzz about the product/service, getting people talking about the brand, generating leads/inquiries, powering traffic to websites and building fan loyalty. Digital marketing strategies have to be well-integrated into the overall marketing mix. Digital marketing demands tech-savvy youngsters who can easily absorb new technology. Basic knowledge of web design, social media and web-related software is requisite. It also calls for a creative streak, analytical bent, good communication skills and willingness to spend long hours glued to the web. The work is demanding as it delivers real-time results and is measurable with more ease and accuracy. Being a nascent profession, employers look more for aptitude than experience and hence youngsters fit in well enough for the profession. Trained and qualified digital marketing experts are in high demand everywhere as more and more companies are shifting their focus to digital marketing strategies. Being a new professional discipline there is immense scope as well as ample room for youngsters. There is wide scope in this industry and big companies allocate huge budgets for digital marketing. Thus to conclude, the future of marketing lies in the digital medium and in return the hub of digital marketing lies with the youngsters! 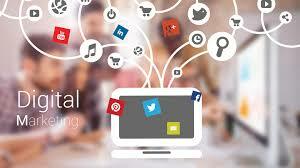 The digital marketing is the powerful marketing media which is used to promote the product or brand. The digital marketing activities include search engine optimization, email direct marketing, social media optimisation, advertising. What Is Digital India Initiative?